​Providing simple, straightforward answers to your iPhone and iPad questions. Click Here to view the articles! ​Articles about the most common questions. 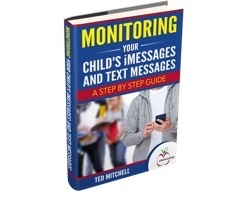 Can I monitor my child's text messages? How do I enable iCloud? What information should sync between my iPhone and iPad? ​What is an Apple ID? How do I change my Apple ID? ​Have a question about your iPhone or iPad and just can't find the answer? Send a question to the iAnswerGuy. Click Here to send a question! ​These guides provide detailed information with an easy-to-follow approach. ​This guide explains how to setup an old iPhone or iPad to receive your child's iMessages and SMS text messages. It contains step-by-step instructions with screenshots to help you through the process. ​This is a straightforward, simple, and easy-to-use guide for anyone that wants to do more with the iPhone Mail app. It will help you send photos to friends, save a draft email, and customize many features of the Mail app to better suit your needs.